Calling all Squantumites! Put down that leftover turkey leg, bundle up grandma, your sweetie, and the tots, and head on over to the Tree Lighting for song and cheer to kick off the holiday season. In addition to our Squantum festivities, the City of Quincy has some treats planned. The 62nd Annual City of Quincy Christmas Parade route begins at the intersection of Hancock Street and Walter J. Hannon Parkway, continuing up Hancock Street to North Quincy High School. Enjoy “An Old Fashioned Christmas” parade featuring high school and adult marching bands from around the state, Christmas themed floats, and over 100 exciting entries. The Grand Marshall’s, hearkening the old fashioned values of “The Greatest Generation” are Quincy resident Robert G. Noble, an Army Air Force veteran, John M. Gillis, a United States Marine veteran, and Francis X. Bellotti, a veteran of the United States Navy. 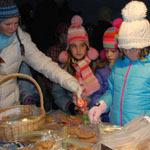 Visit the Quincy website for details about the holiday festivities, including the celebration flyer with all the details. We’ve had a lot of discussion in our community about how to live with coyotes, and how to keep them away from homes and pets. To help consider these questions, the Seaside Gardeners of Squantum invite you to a presentation by Chris Schadler of Project Coyote. Learn about successful approaches to peaceful coexistence and bring your questions. To guarantee seating, please RSVP by emailing Sandra Sumner. Project Coyote, a North American coalition of wildlife scientists, educators, predator- friendly ranchers and community leaders, promotes compassionate conservation and coexistence between people and wildlife. 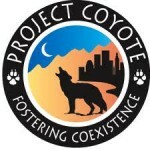 As a national non-profit organization, Project Coyote works to change negative attitudes toward coyotes, wolves and other native carnivores by replacing ignorance and fear with understanding, respect and appreciation. All of our work – through education, science, and advocacy – strives to create fundamental and systemic changes in the ways wild carnivores are viewed and treated in North America. Chris’ interest in wild canids began in 1980 as a volunteer at the Wolf Park in Battleground, Indiana under Dr. Erich Klinghammer. This opportunity and others inspired an eventual Masters in Conservation Biology at Antioch University Graduate School. Chris instructs and mentors adult degree candidates in the UNH System at Granite State College. While wolf recovery was the focus of her early work, Chris’ attention shifted to the eastern coyote when she moved to New England. She chose a farm with known coyote problems to raise sheep and train her border collies. Using sound livestock management and common sense, she has avoided any predation for nearly two decades. A peaceful co-existence between coyote and livestock has grown an attentive audience for humane management. Tips and education from Project Coyote on their website. Urban landscapes offer an abundance of food, water, and shelter for coyotes. 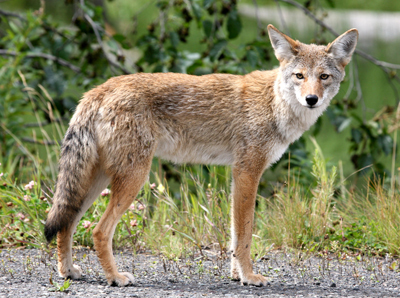 Take the following steps to prevent coyotes from being attracted to your home. Wildlife-proof garbage in sturdy containers with tight fitting lids. Take out trash the morning pick up is scheduled. 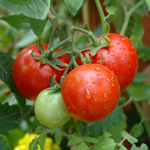 Keep compost in secure containers. Keep fallen fruit off the ground. Coyotes eat fruit. Keep birdseed off the ground; seeds attract rodents which then attract coyotes. Remove feeders if coyotes are seen in your yard. Clear away brush and dense weeds near buildings. Close off crawl spaces under decks and around buildings where coyotes may den. If you frequently see a coyote in your yard, make loud noises with pots, pans, or air horns, and haze the coyote with a water hose. Share this list with your neighbors; coexistence is a neighborhood effort. Greetings Squantum neighbors! 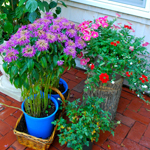 The Seaside Gardeners of Squantum invite you to join us at an Open Garden gathering. Consider joining the gardeners as we explore new paths for the club in the future. 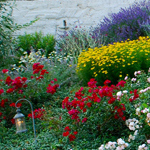 Join us for an informal Open Garden gathering. Enjoy light refreshments and chat with Garden Club officers who will be available to answer any questions about the club. Although not required, RSVP would be appreciated. Tuesday, August 26, 5:00 – 8:00 p.m. Founded in 1952, the Seaside Gardeners of Squantum are engaged in environmental conservation, beautification, and civic projects. Hosting a number of events throughout the year, the club welcomes all neighbors to attend. 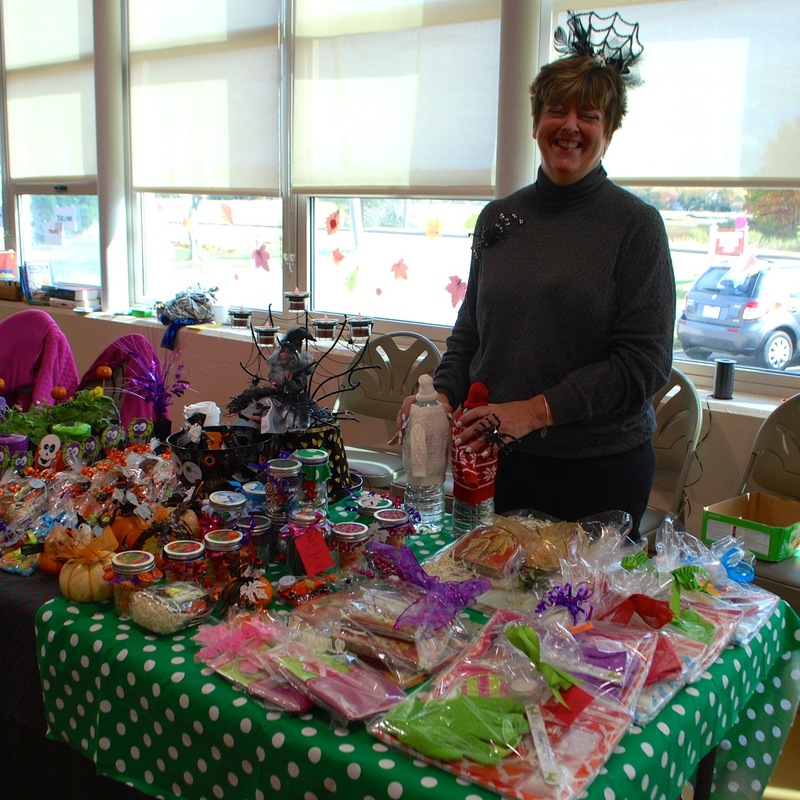 Examples of our programs include the Squantum School Junior Gardeners, Causeway beautification, the Christmas Tree Lighting, the Blue Star Memorial at the firehouse, a Scholarship Program, the Spring plant sale, and the Faire for All Seasons craft fair. 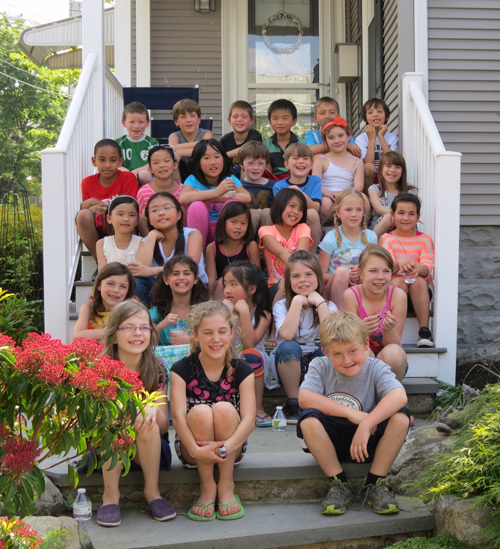 Visit our Scoop page for details about the programs over the past year. 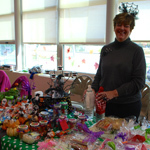 The club meets the second Wednesday of each month (except January and February) at 9:30 a.m. at the Kennedy Center. We are happy to announce that we will begin to hold some monthly meetings during the evening commencing in October 2014. The evening meetings will begin at 6:15 p.m. and the daytime meetings will continue to start at 9:30 a.m.
We hope to see you at the Open Garden on the 26th and invite you to consider joining the club as we explore new paths into the future. Ed Swartz and Donna Richardson at 617-770-3579. Saturday, May 24, 11:00 a.m.
ceremony to honor the men and women who have served, are currently serving, or will serve in the Armed Forces of the United States. The Seaside Gardeners have arranged to place a Blue Star Memorial By-Way plaque at the Squantum Fire Station to commemorate and honor these men and women. 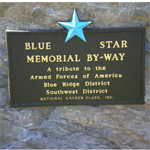 The Blue Star Memorial program was created in 1945 at the close of World War II by the National Garden Clubs, Inc., as a means of honoring men and women serving in the United States Armed Forces. Garden Club members visualized a living memorial, helping to beautify and preserve the country these men and women fought for. Today, the mission is to honor all men and women who have served, are serving, or will serve in the Armed Forces of the United States. 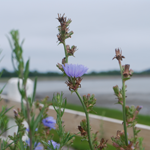 Learn more about the Seaside Gardeners of Squantum. Head out for Cleaner Greener Quincy day and clean up the ‘hood, Squantumites! Grab your gardening gloves and head out for the 25th Annual Cleaner Greener Quincy Day! Roll up your sleeves alongside city employees and spruce up the neighborhood parks, beaches, schools, marshes and open space area after this long winter. Watch out for tiny Squantum tots and adults as you drive around the ‘hood! The Quincy Park Department will provide rakes, bags, gloves, shovels and other equipment. Head over to Pageant Field at 12:30 p.m. to join Mayor Koch at his volunteer appreciation cookout, sponsored by Hannaford Supermarket. All volunteers will receive a free “Cleaner, Greener Quincy” t-shirt. 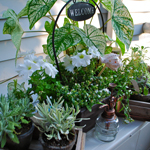 Learn about Quincy Cleaner Greener days. Contact the Quincy Park Department for more information or to help out. (617) 376-1251. At approximately at 6pm, Santa Claus will make a special appearance with Mayor Koch to turn on the Quincy Center Christmas Lights, which include a few new additions this year! Drop off your letters to Santa and enjoy free popcorn, hot chocolate, and candy canes! Enjoy Donna Marie Children’s Puppet Show, strolling Victorian Christmas Carolers, and street performers. The 61st Annual City of Quincy Christmas Parade route begins at the intersection of Hancock Street and Walter J. Hannon Parkway, continuing up Hancock Street to North Quincy. The rain date is schedule for Sunday, December 8. 2013. 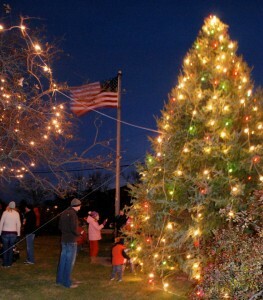 Visit the Quincy website for details about the holiday festivities.